. . . soulful music and sitar playing. While [Norah] Jones is a tremendously versatile and supple musician, we hear a new side of her on "The Sun Won't Set" . . . The sisters' musical timbres and sensibilities blend so beautifully that their three collaborations really define this album. Jones was mostly distant from her father during his life, so when she adds the line "Thank you" to a song called "Unsaid," it's enough to break your heart. Ravi Shankar first brought Indian music to the U.S. in the 1950s. The awareness he sparked has been weaving its way through pop culture ever since. On this landmark album, his daughters do him proud. We believe them when they say: This sun won't set. One of the most exciting tracks is a sitar and guitar duet called 'River Pulse' . . . A personal album indeed. Listening to her and to some of the songs on the album . . . you get a sense of the personal nature of her music and its universal appeal. It's about what art -- be it performed, recorded, written, painted or sculpted -- reaches for a particularism that goes straight to the personal heart and imagination of the viewer and listener and then becomes magically universal . . . Whether receptively popular or consciously artistic, the results often seem mysterious -- a "don't know how" kind of happening that arrives with inscrutable blessings. This is, it seemed to me, especially true for Shankar . . . a highly personal work . . . She is noted for her mastery of the sitar . . . the album seems in many ways very specific and personal, but also uncommonly generous and kind in many of its aspects, an acceptance of life in all of its forms . . . She is, in some ways, the embodiment of the idea of the personal and universal being played out in art and life all the time. This Indian pop-classical sitar composer inherited much talent from her father, the sitar master Ravi Shankar . . . [on] "Traces of You," Ms. Shankar sings elegantly about divergent paths, pays tribute to her dad and folds more family members into the delicate spell. Her half-sister, the jazz-pop starlet Norah Jones, sings on the stunningly beautiful title single.
. . . her most adventurous album to date. Nowhere is this more evident than on three lyrical tracks featuring half-sister Norah Jones, whose sultry vocals create a gorgeous counterpoint to the haunting sitar melodies. A thrilling sitar-guitar duet with producer Nitin Sawhney on "River Pulse" is another highlight, but Shankar is equally impressive on the solo sitar piece "In Jyoti's Name" . . .
. . . [the opening track] is affecting . . . [by the eighth track] she's flying. "Chasing Shadows," with its rapid call-and-response figures, is delirious, ecstatic. The closing ballad . . . completes an ultimately satisfying emotional narrative arc.
. . . [there's something about "Traces of You"] that signals a real change in her creative path . . . the guiding hand of producer Nitin Sawhney . . . seems to draw Anoushka even further into an agile mix of Indian classical and pop music. It helps to have multi-talented halfsister Norah Jones on vocals; the upbeat title song simmers dreamily, while "The Sun Won't Set," folkkissed and quiet, sets the tone. Meanwhile, Anoushka taps into the profoundly meditative, almost bluesy style of her father, who often accentuated mood and feel over pure technique -- an ability that only comes with time, experience, wisdom and openness. She's well on her way. "Traces Of You" is a substantial work . . . ["Chasing Shadows"]: A marvellous chase of a piece . . . One of Anoushka Shankar's finest releases . . . The collection is balanced, thoughtful, and melancholy. The instrumental music is easily pleasing, even soothing . . . On the album, there are enough differences in the rhythms to convey range; and the participation of Jones increases the emotion and intimacy. Sanft beseelter Weltmusik-Pop . . .
Das ist wirklich einmal Crossover: Musik, die ihre Wurzeln über die Kontinente hinweg in den Boden schlägt und aus beiden gleichermaßen Kraft saugt. Anoushka Shankar . . . hat zwischen westlichem Kammer-Pop und indischer Folklore 13 Songs eingespielt, die durch ihre wuchernden Linien bei intimster Schlichtheit direkt auf die Seele zielen -- und treffen. Dabei hat sie sich beim Titel-Song und zwei anderen der schwesterlichen Hilfe Norah Jones' vergewissert, deren naturbelassene Stimme und deren kristallin unprätentiöses Klavierspiel sich so logisch wie sinnlich einfügen in dieses Vexierspeil der seltsam vertrauten und doch so exotischen Modi, Rhythmen, Farben. Ein prachtvolles, ein berührend schlichtes Herbst-Album.
. . . [eine] der außergewöhnlichsten Sitar-Spielerinnen unserer Zeit . . . Anoushka Shankar integrierte mühelos musikalisch gegensätzliche Elemente . . . Eindringlich und mit einer großen lebensbejahenden Energie . 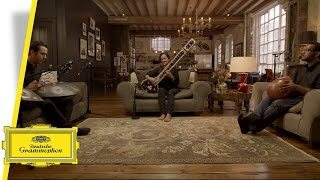 . . schlägt die begnadetet Virtuosin eine klangvolle Brücke zwischen den Traditionen ihres Heimatlandes und den westlichen Musikstilen.
. . . [Anoushka Shankar] erweist sich abermals als Könnerin ohne stilistische Scheuklappen. Nichts klingt überladen oder wie leeres Virtuosen-Geklingel. Alles hat Schönheit, Sinn und Struktur. Ravi wäre stolz auf sie.
. . . [Norah Jones'] sinnliche Stimme und poetischen Texte verleihen dem Album voller Melancholie, Schönheit und Optimismus zusätzlich eine sehr persönliche Note. Der Geist von Ravi Shankar bestimmt die Stimmung der Platte unüberhörbar -- mit großer lebensbejahender Energie. Besonders eindringlich sind zart groovende Stücke wie "Laysa" und "Fathers". Wer einen unkomplizierten Zugang zur hochkomplizierten indischen Klassik sucht, dem bietet Anoushka Shankars Musik eine echte Hilfestellung. Shankar biedert sich dem Pop nicht an, sie spielt ihr Instrument mit dem gleichen hohen Anspruchs, wie es ihr Vater tat . . . Der Klang ihrer Sitar ist gewissermaßen das Navigationssystem des Albums, auf das sich der Hörer blind verlassen kann. Nitin Sawhney hat dieses Album nicht nur als Mitkomponist einiger Stücke, sondern auch als Arrangeur stark geprägt. 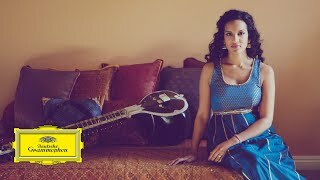 Es ist ihm gelungen, die von Anoushka Shankar angestrebte Öffnung ihrer Musik originell und doch kaum merklich umzusetzen. 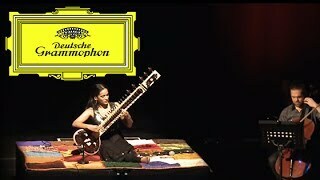 Mit einem klassischen europäischen Motiv, das er am Piano spielt, entspannt er etwa in "Indian Summer" ein hinreissendes Duett mit Anoushka Shankar an der Sitar. Traditionelleren indischen Stücken, die teilweise auf Ragas aufbauen, verleiht er mit elektronischen Patterns ein modernes Gepräge.
. . . so schön, dass man alle Unbill der Welt [vergisst] . . . Das sind Töne wie vor der Erschaffung unterschiedlichster Klangsprachen: paradiesische Musik.
. . . fusion des ragas indiens et du classique à l'occidental. Aussi baroque qu'atypique, ce genre nouveau illustre à merveille l'ingéniosité d'une artiste à l'insatiable curiosité. Anoushka e riuscita a trasformare le vibrazioni positive e negative in espressione personale . 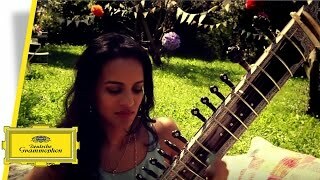 . .
Watch the music clip for 'Lasya' from Anoushka Shankar's album "Traces of You". Her new record "Traces of You" contains some of the most intimate and daring music Anoushka has yet released. The music exists in an undefinable space between genres, always with the Indian music Anoushka loves so dearly at its roots. "Traces of You" features Anoushka's half-sister Norah Jones as the sole vocalist on several songs and showcases Anoushka's ever increasing versatility and lyricism on the sitar.